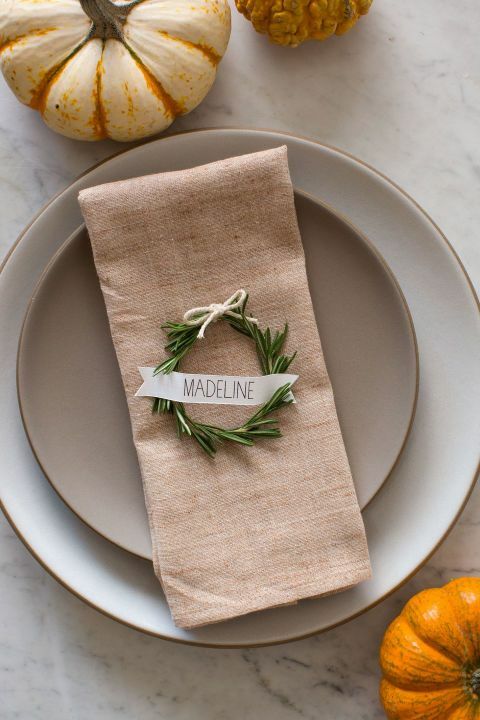 Making your Thanksgiving table perfectly decorated wouldn't be complete without place cards. They're a fun and inviting way to welcome your guests to your table. These five place card ideas are DIY options to buying them. These little wreaths on neutral toned napkins are so pretty and elegant. I love the little name banner! Taking adorable tiny pumpkins and adding some glitter to the stems seems like the easiest of them all. Tie a little tag to them and you have an instant place card. Pine cones are the ultimate Fall decor staple aside from leaves and they work perfectly to decorate your Thanksgiving table as place cards. This idea features a fun printable that you can find at the link below the image. This would probably be my favorite of all of them because it's simple and easy to do especially when Thanksgiving dinner takes up so much time to prep and make. Burlap, a leaf template and a clothes pin are all you need to make this pretty place card. How cute! I really like the glitter added to the clothes pin for a sparkly touch. These are all so cute! I will definitely be using some for my Thanksgiving dinner. Yay! Glad to have inspired! I'm with you! Number 4 is my fave too. Simple, elegant, and easy to make... that's perfect for my Thanksgiving festivities! Love these ideas, the one with the pine nuts are my favorite ! So cute! I just adore those little wreaths! The gold clothes pin and leaf is really clever, too! 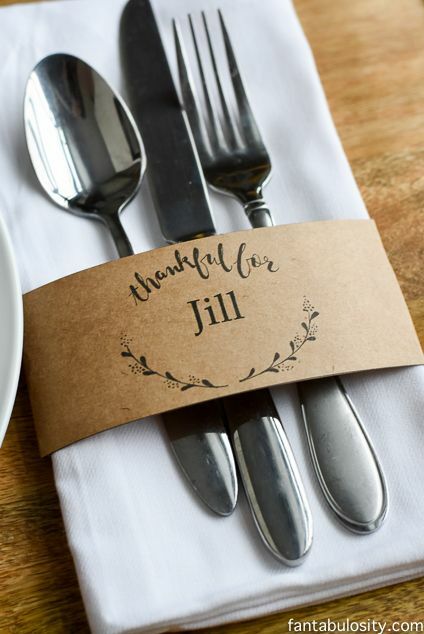 Great ideas for Thanksgiving place cards. Thank you for sharing at the Snickerdoodle Create, Bake, and Make Link Party!